Up to 5Gbps of data transfer though each port with this USB 3.1 metal hub. Set up a flat surface mount and make your connections. 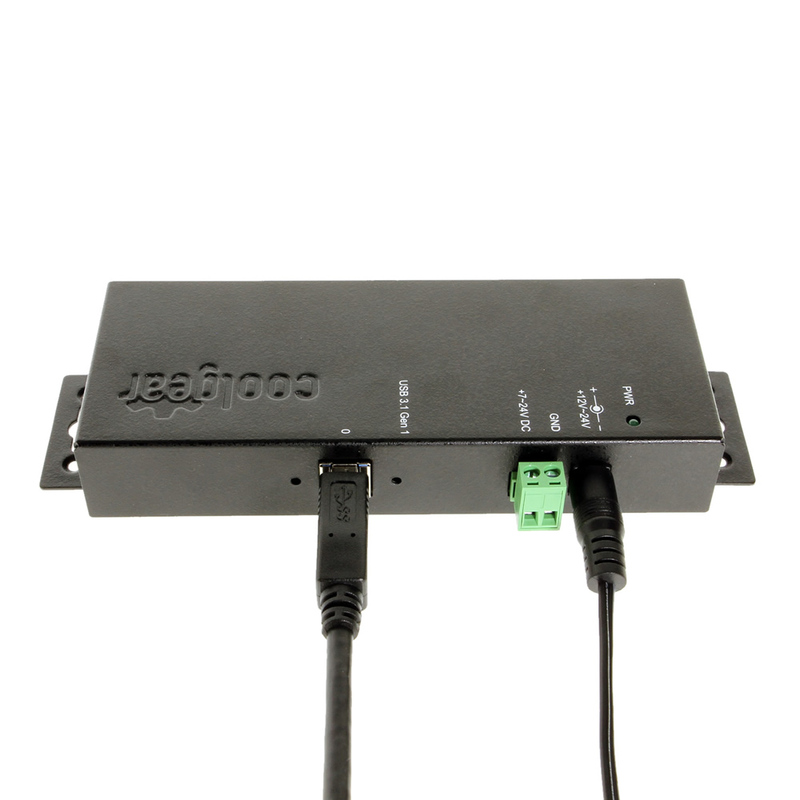 To power all ports, the hub is self-powered with an external 7~24V DC power adapter. The 7 port USB 3.1 Gen1 Hub has certain accessories that work with it. These accessories are what you can order if needed.